DHS is continuing its efforts to be more agile in how it acquires technology services, according to NextGov. The agency will host an industry day to educate potential vendors about Flexible Agile Support for the Homeland, or FLASH. 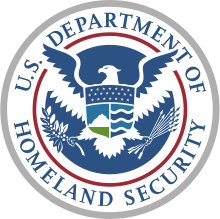 DHS is following the example set by the General Services Administration, whose tech team 18F last year awarded 17 vendors spots on its own agile blanket purchase agreement. GSA recently made its first task order to one business on the BPA, now responsible for beta-launching a dashboard for the Federal Risk and Authorization Management Program, or FedRAMP.